Not all blog feeds are good, and not all the information contained in them is accurate. So, to avoid filling your inbox with post notifications which direct you to subpar updates, choose your feeds wisely. Start by identifying the leaders in your particular sector. Who is a known expert? Who do your peers talk about? Who are the movers and shakers? What companies are ‘ahead of their time’? All of these questions will help you identify the blogs which will be most valuable to you and your organisation. For every area of B2B marketing there are experts, specialist organisations, and related blog feeds. So, just because you may work in the niche field of data science, don’t think you’re left out in the cold. A quick online search of your specialisation will help you find experts in your field. Now, all you have to do is look for those who have proven results, an inspirational quality to them, and post helpful and valuable information. 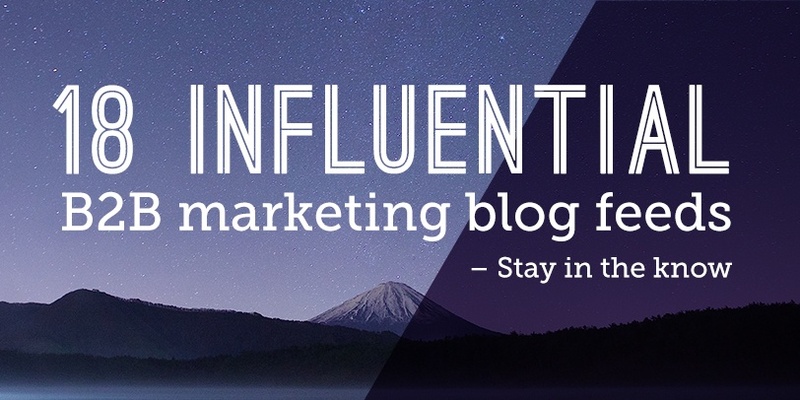 You can now begin to subscribe to these companies’ blog feeds and stay up to date with what’s going in your area of expertise. Reading a range of specialist blogs will help increase your knowledge and insight, but so will writing them. Part of creating a blog post is researching subject matter – also great for building on your expertise. So, take these opportunities to delve deep into your specific area of B2B marketing and uncover the latest trends, news, and information. Oh, and don’t forget, subscribe to our blogs using the box on the right. To find out more about blogging and how this can form a valuable part of your multi-channel lead generation activity, speak to us today on 02392 314498 or email info@reallyb2b.com.